Recap of day 18 in the Big Brother house; highlights show: Saturday 23 June 2012. It’s eviction day. Benedict or Lauren will be the third housemate to be evicted from the Big Brother house. Shievonne comes to the diary room to talk to Big Brother. She admits that she feels awful. Shievonne continues to say, ‘I feel emotionally drained. There are some people I look at and think; what are you doing?’ She also says that Adam made her ‘look like a fool’. Lauren is getting ready for eviction night. Rebecca jokes that Luke S, Scott and Conor would go out with her. Adam explains what ‘to go Dutch’ means to Rebecca. 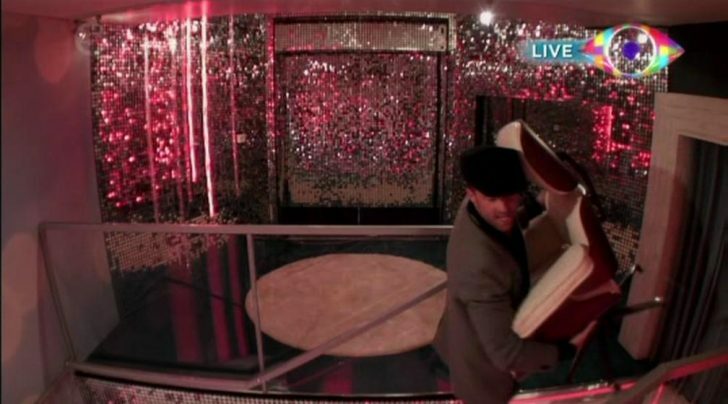 Arron comes to the diary room to make a mends and apologises. He asks if there is anything he can do or give up something to get at least one hairdryer back in the house so Lauren can do her hair. Ashleigh, Conor and Arron are in the bedroom talking. Ashleigh says that she won’t be ‘doing anything in bed’ with Luke S.
Arron the prankster is having a one-to-one with Big Brother and is told that the house needs kindness and hairdryers. Big Brother sets him a secret mission to win new hairdryers. He must carry out three acts of kindness. The first being to give Caroline top tips on her appearance, the second one is to give Benedict a crash course on how to deal with eviction night and the third to give a housemate of his choice, a full body massage. Housemates are getting ready for eviction night. The girls help Lauren to get ready. Most of the housemates are asleep. Adam is snoring loudly which makes Shievonne to throw a pillow at him and he wakes up. Luke S and Ashleigh start kissing in their bed which then causes both of them to laugh out loud. Ashleigh looks round to see if any of the housemates are looking at them.